'Clarke Jog Set is luxe leisure, made in America of 70% cotton/30% microfiber that breathes like a natural fiber, washes beautifully, retaining its shape and color. 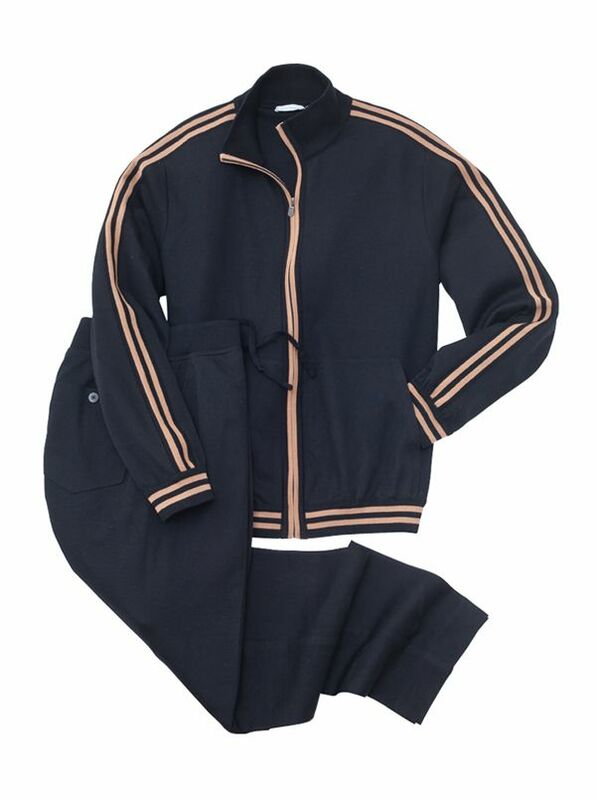 Zip Jacket has contrast placket, with contrast trim at cuffs, shoulders and waist, two side entry pockets, mock neck. Pants have drawstring elasticized waist, 3 pockets, zip fly, open bottoms.